HN12. 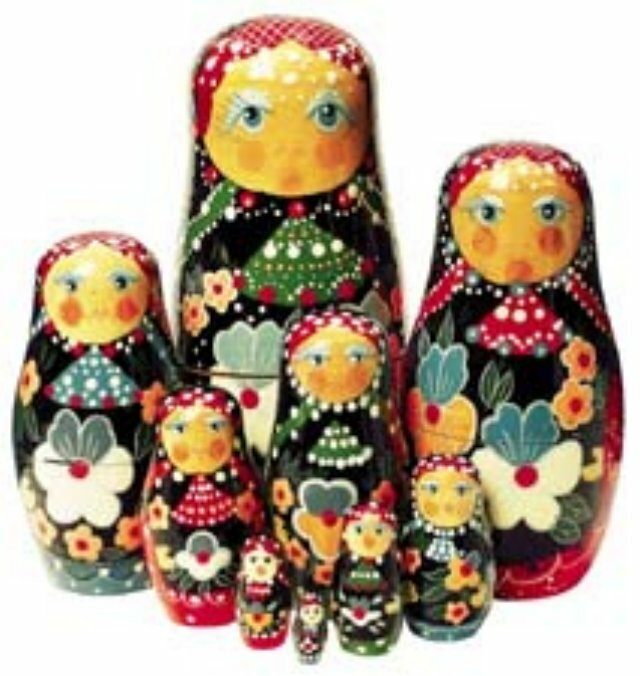 Nesting Ladies (Russia) 9n 6.5"
These traditional ladies are a must-have for any nesting doll collector. Fashioned after the highly prized Russian matriarch dolls, our nine dolls, all beautifully hand painted with extreme details, nest inside each other, measuring from 6 1/2" tall down to a tiny 3/4" doll. A truly magnificent collection to display or hold your trinkets.